A Tradeshow Guide was created for Mimaki as an information and instructional piece. This promoted user engagement and involvement. 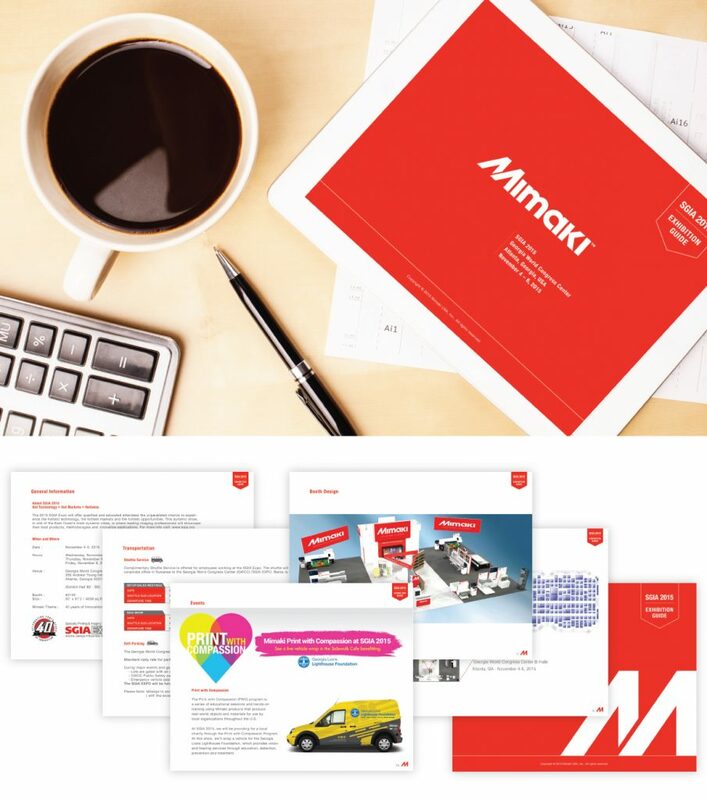 Mimaki is an Engineering Co. involved in inkjet printers and cutting plotters for textile, industrial and sign graphics applications.